Officials at Creston Community School District in Creston, IA, recently made the choice to purchase eWalk for themselves. 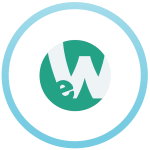 eWalk is the observation-and-teacher-assessment software that not only makes school staff evaluations easier, but also empowers teachers with meaningful, actionable insights. Previously, eWalk was used by the school district’s Iowa Area Education Agency (AEA). When the AEA announced plans to no longer perform the walkthroughs and classroom observations, district administrators took it upon themselves to reach out to Harris School Solutions (HSS) in order to continue using eWalk on their own because they found the software so helpful. Want to find out why Creston is so happy with eWalk? Click below to explore how eWalk can help your school!